On Sunday, I’ll be appearing at one of my favorite places, Island Books, on Mercer Island, for their Local Author Festival. 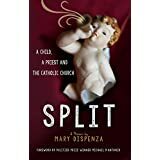 Come by, hear about my memoir, SPLIT and share your own story. Have a snack with me and several other local writers whose work you’ll want to know about. There will be a gift certificate giveaway too. Bring a friend, join the fun!